Air101: Delta will offer free mobile messaging in flight. 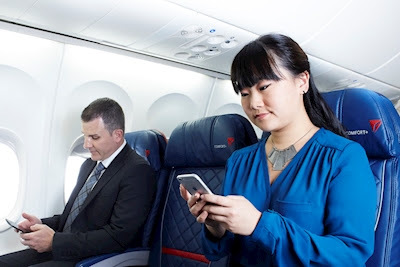 Delta will offer free mobile messaging in flight. 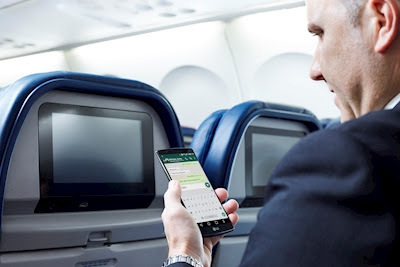 Delta is making big changes on air to ground communications for passengers this autumn, starting on 1st October Delta Air Lines will become the first major US global airline to offer free mobile messaging, providing more customers access to free messaging than any other carrier. The airline will also have the most aircraft enabled with free messaging. This new, complimentary capability will enable customers to stay fully connected with those on the ground and exchange real-time messages in flight with friends, families, colleagues, and clients via iMessage, WhatsApp and Facebook Messenger. 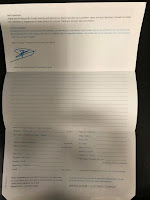 The enhancement is part of Delta's multi-billion dollar investment in the customer experience. "We know many of Delta's customers want or need to stay connected in the air and on the ground, which is why we're investing in an easy, free way to send and receive messages inflight through some of the most popular global platforms," said Tim Mapes, Delta's Senior Vice President and Chief Marketing Officer. "Coupled with our investments in seat-back screens, free entertainment and High-Speed Wi-Fi, free messaging is one more way customers can choose how to make the most of their time on Delta flights." In addition to mobile messaging, Delta continues expanding High-Speed Wi-Fi, seat-back entertainment screens and free entertainment to give travellers more choice and flexibility in how to spend their time from takeoff to touchdown. Additionally, Delta offers customers more aircraft with seatback entertainment than any airline in the world, installing its 500th aircraft with seat-back entertainment in July. With a commitment to install over 600 aircraft with seat-back screens by the end of 2018, in partnership with Panasonic, Delta is putting choice in the hands of the customer. In addition to investing in seat-back entertainment, customers can also choose to stream Delta Studio to their personal devices on the airline's entire mainline fleet as well as all two-class regional aircraft.